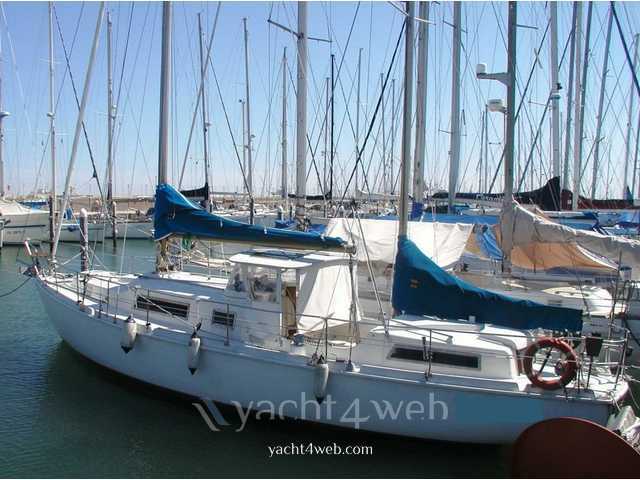 Boat worship but kept very well, the mainsail and mizzen are teacher of 2013, while Genoa is 2015, the instrumentation is good, the autopilot is 2014, antenna tv, three battery with battery charger and solar panels, wood and upholstery are kept very well, the oven with the stove are brand new never used mounted in 2016 so goes the refrigerator which is also new, instrumentation includes radars of 2013, wind, log, ECHO, Gps from 5 "counter with buttons to operate the windlass from the cockpit, aft davits for dinghy, engine Volvo from 65hp hydraulic change + another inverter equal respect, second muffler, propeller three-blade Helix Prop + Max respect , raft and rockets of 2017. Removable stralletto the staysail, bowsprit for spinnaker and gennaker. The price of sale does not include the agency fee.